If you need to look like a Medieval warrior in a hurry, then there are plenty of ways you can de-modernize your look. You could always start carrying around a sword in public, but that leads to some problems that you might want to avoid (like having to explain why you’re wielding a sword in broad daylight to the local law enforcement agencies). You could stop taking baths, since the people of the Middle Ages rarely did that… but your friends and family might not be very happy with that. How about your hair? Yes, that seems like a great place to start! 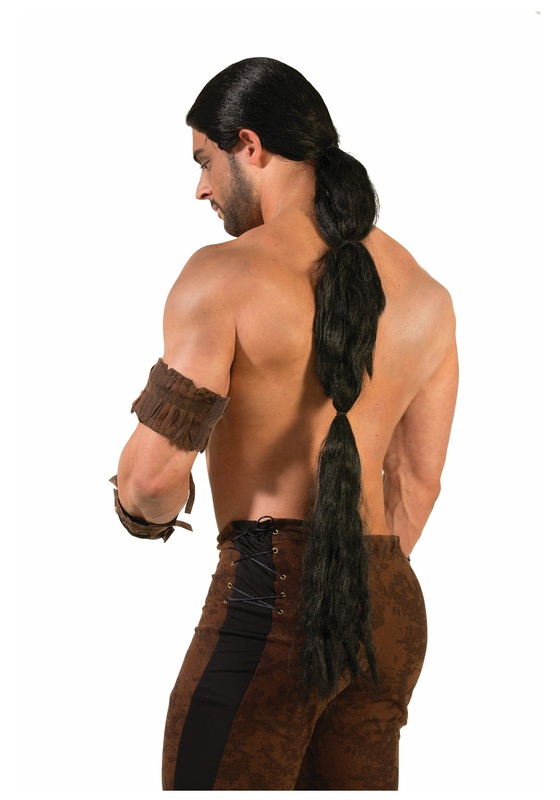 This Horse Lord Warrior Wig will help you attain the look of a Medieval warrior without a single trip to the hair stylist. It fits quite simply on your head to make you look like one fierce character from a fantasy realm! Who knows what kind of adventures you’ll find when you’re wearing it.